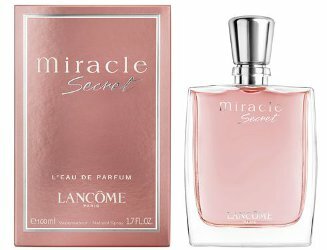 Late last year, Lancôme launched Miracle Secret, a new flanker to 2000's Miracle for Women. This mysterious composition emerges from the heart of the surprising and captivating Jasmine flower. Miracle Secret is the fragrance of an empowered and enigmatic woman, revealed by an unusual and delicious Jasmine-Nashi Pear duo that contrasts with an ultra-modern woody vibration. Additional notes include bergamot, peony, rose, cedar, amber, musk and vanilla. Lancôme Miracle Secret is available in 30, 50 and 100 ml Eau de Parfum.